1Preheat the oven to 450F. Trim the stem ends of your Brussels sprouts and cut large ones in half. Toss in oil and add salt and pepper, then spread out on a rimmed baking sheet (lined with parchment or foil if you want to minimize cleanup). Roast for 20 minutes, or until tender and started to get charred. 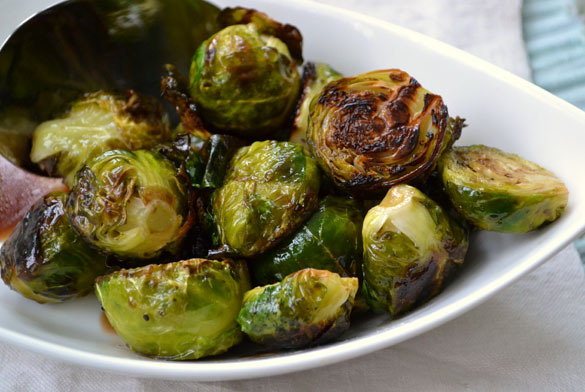 While they're still warm, toss the Brussels sprouts in balsamic vinegar and honey and serve immediately.